KOKET is one of iSaloni exhibitors in 2016 and it is a ver exuberant one. 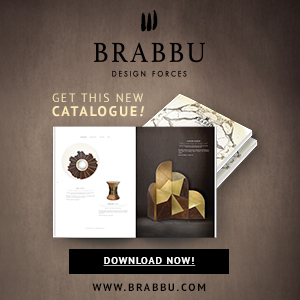 The luxury brand’s ladies took center stage at the italian design furniture event on Hall 6 – Stand D32A, from April 12th – 17th. The brand’s Founder and Creative Director, Janet Morais, draws inspiration from various vintage and cultural designs. With her daring design aesthetic, eye for the opulent and natural trend instinct, she transposes select design elements from the past into cutting-edge, contemporary luxury. KOKET just unveiled new additions to the ladies of the upholstery collection, showing off contemporary dining chairs and other upholstered chairs at isaloni 2016. 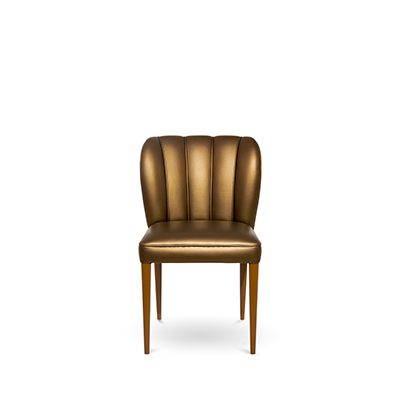 Let’s start with Audrey Chair, you’ll be aching to embark on a KOKET holiday with her. 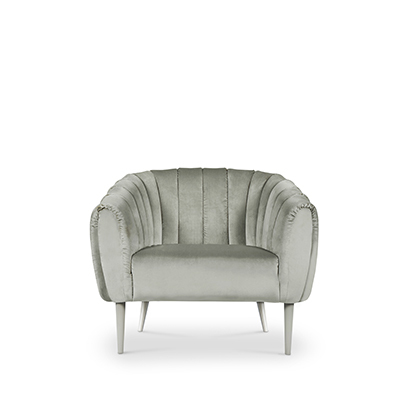 This sassy upholstered chair design is given a touch of her “devil-may-care” attitude by being accompanied with a petite foot rest, when feeling coolly nonchalant. Her retro, skinny-jean legs and trendy upholstery fabric add a charming je ne sais quoi. The next new tempting upholstery piece in the brand’s collection is the eye-catching black and gold Bolvardi Bench. 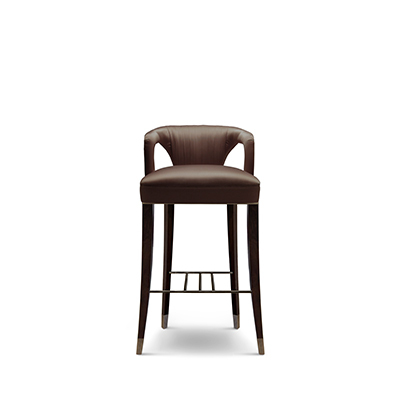 A modernized butterfly stool, her soft curves are just as entrancing as her finishes. 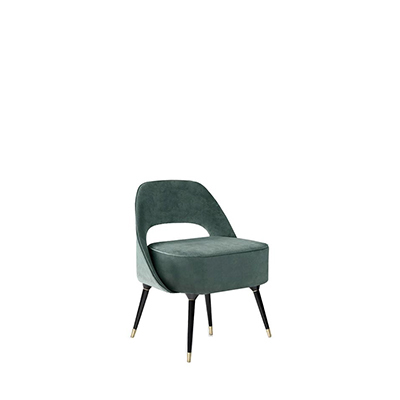 The timeless combination of polished brass accents and luscious black velvet upholstery make for a seductive and empowering statement piece. It makes velvet chairs envy. The experienced stars of the brand’s collection will make an appearance at Salone del Mobile 2016 as well. With a design that is both bold and daring, the Chandra upholstered chairs are KOKET’s show stealer and constant favorite. You can be immersed in a hypnotic world of luxurious designs from eras past blended with the cutting-edge trends of the present with KOKET’s Vintage Vibe at iSalone 2016, Hall 6 – Stand D32A during April 12th – 17th.